Buffalo Chicken Sliders - Frugal Mom Eh! 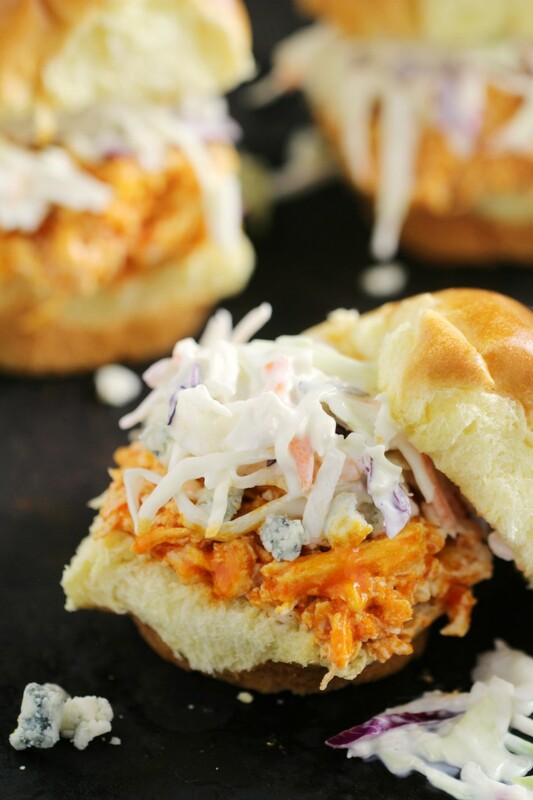 These Quick and Easy Baked Buffalo Chicken Sliders are an easy weeekday meal recipe that easily transition to party appetizer! They come together lightning fast with just a few simple ingredients like shredded chicken, semi-homemade buffalo sauce, and your favourite toppings! Now that everyone is settling into the usual routines you are probably already finding yourself stuck between a dinner rut and a time crunch. Spending an hour or longer on making dinner during the week just doesn’t cut it for most of us. 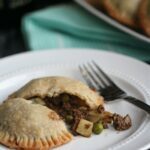 The solution is easy to make but still good for you dinners that can be made in fifteen to twenty minutes. Dinners that the whole family can be excited about instead of your same-old go-to meal ideas. 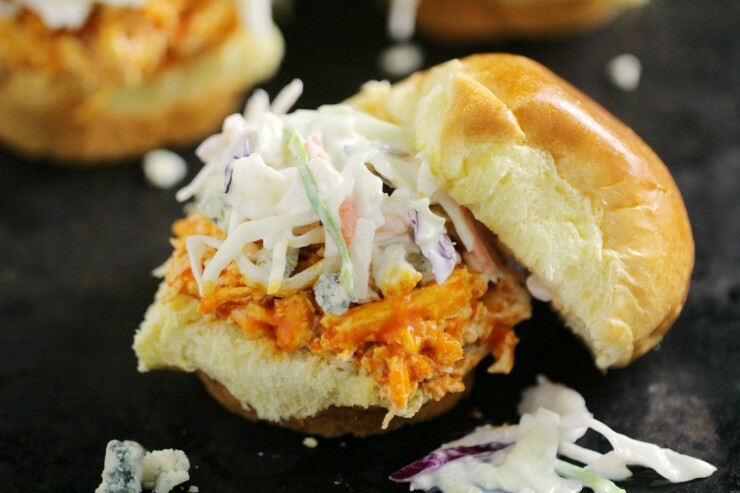 Dinners like Buffalo Chicken Sliders made with Maple Leaf Natural Selections Slow Roasted Shredded Chicken for an exciting but easy to make meal. Maple Leaf Natural Selections has recently launched a new line-up of shredded meats, including chicken, turkey and pork. They are made with natural ingredients and no added preservatives. It’s as close as you can get to fresh ingredients without the hassle making them an everyday healthy and easy meal solution for your family. Maple Leaf Natural Selections shredded meats are not only easy to use and natural , they are also versatile and can be used in many different ways as the meat does not come with added sauce and is only very minimally spiced. They are a great way to feed your family healthy food no matter how little time you have. With Maple Leaf Natural Selections shredded meats you can have dinner on the table faster than you can order in. 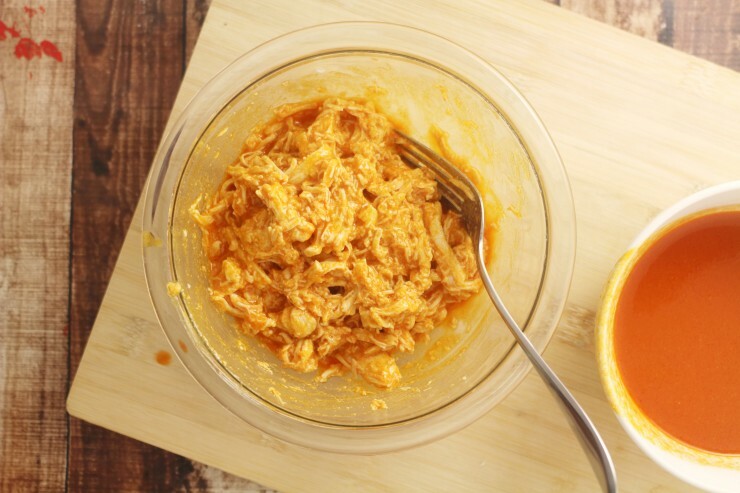 My recipe for Buffalo Chicken Sliders is a good example of just how easy the Maple Leaf Natural Selections Slow Roasted Shredded Chicken is to use and just how flavourful and versatile this product is. 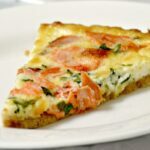 In under 15 minutes you can have dinner on the table for your family and believe me, this is way beyond the usual suspects! I’ve included both a spicy and not-so-spicy version so that your whole family can enjoy these sliders, you could also play around with a mixture of hot pepper sauce and ketchup to get the desired amount of heat your family enjoys. Combine the hot sauce, butter, vinegar, Worcestershire sauce, cayenne pepper, and salt in a saucepan and heat over medium heat. Bring to a gentle boil and then remove from heat. 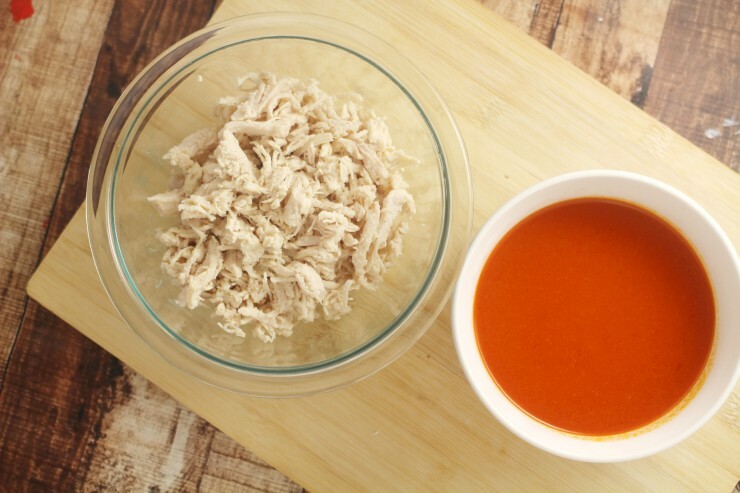 Add Maple Leaf Natural Selections Slow Roasted Shredded Chicken to saucepan and toss with a fork to evenly coat chicken. Divide chicken among the slider buns and if desired top with serving suggestions. 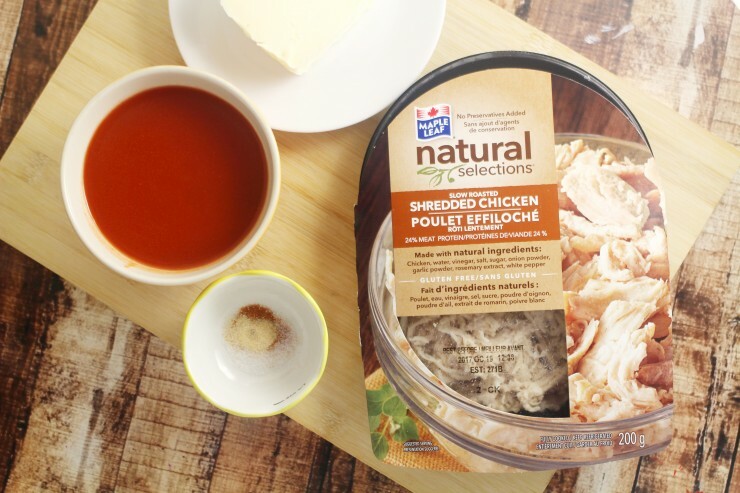 One Canadian Frugal Mom Eh reader will win 10 Free Product Coupons for Maple Leaf Natural Selections shredded meat products. Giveaway ends on October 1st 2017 at 11:59 pm EST. See Giveaway Tools form for entry and t&c. Disclosure: This post has been sponored by Maple Leaf Foods. All thoughts and opinions are honest and my own. I would love the Turkey Alfredo Pasta! 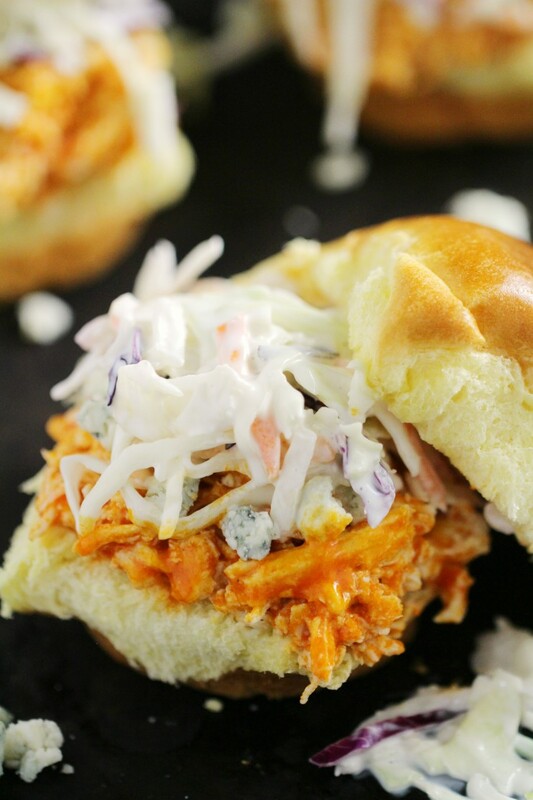 I would love to make these buffalo chicken sliders for a family gathering! I’d like it with cole slaw or bleu cheese dressing! I love sliders anyway so just seeing the titles got me all excited. Once I saw the recipe I am enamored with this recipe. I cannot wait to make it. These are so awesome! I was looking for something new to serve on game day, and now I have it! Yay! 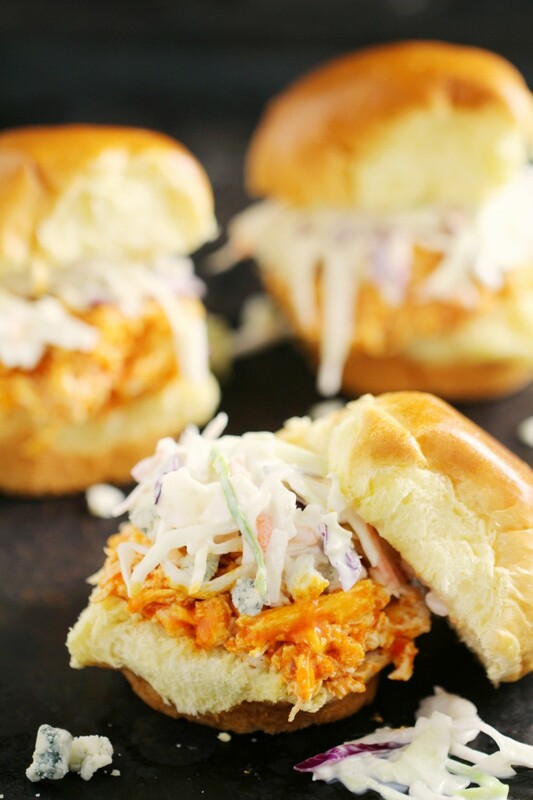 Your Buffalo Chicken Sliders look delicious. I’m going to have to stop into my local Metro and pick up some of this shredded meat. Natural Selections has some amazing products. I am loving this delicious slider!! I absolutely love sliders – and these look amazing!! I haven’t tried buffalo chicken sliders yet, so I need to. Thank you for a non-spicy version of this recipe! I love Buffalo Chicken, but it’s usually too spicy for me. I love that they have chicken already shredded. Such a time saver! I would like to try the Creamy Pasta with Ham and Peas recipe. I’d love to try the Maple Apple Glazed Smoked Ham! I’d also like to make the Turkey Wrapper! The Baked Buffalo Chicken Burrito sounds amazing! I would like to try the Baked Ham and Cheese Burritos!! YUM! Thanks! I would like to try the Baked Pepperoni and Cheese Loaf. This looks like an awesome treat. The tex mex burgers sound excellent. 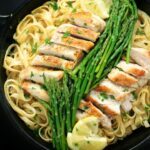 I would love to try the Turkey Alfredo Pasta recipe. I would love to try the Creamy Pasta with Ham and Peas! Would love to try the Oriental Turkey Pita. They have lots of good recipes to choose from. I would also like to try the Turkey Wrapper, yummm!!! I would love to try the The Baked Buffalo Chicken Burrito. Sounds amazing. I would like to try your Clam Chowder with bacon. I usually start out with bacon when I make Clam chowder. 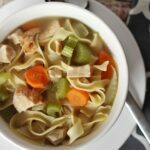 Thank you for sharing these recipes with us. The Double Grilled Cheese Steak looks good! i would love to try the Double Grilled Cheese Steak. Sounds yummy! I think we would love the Maple Apple Glazed Smoked Ham! The Chicken Caesar Sandwich is a recipe I know the kids & I would enjoy!